3M Scotchcal Dusted Crystal and Frosted Crystal films simulate acid-etched and sand blasted glass surfaces when privacy or an enhanced image is needed. These films are a low-cost alternative to traditional acid-etching or sand blasting, and can be applied to thin glass. Scotchcal is very stable with minimal shrinkage, and has a moisture-resistant lining, which makes it easier to weed. These durable, cast vinyl films feature a clear, pressure sensitive adhesive and a clear, synthetic liner. In addition, glare is reduced by the films matte finish. 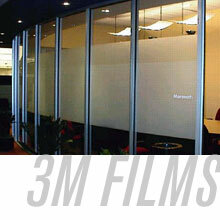 Lastly, other Scotchcal films offer privacy and security by blocking out glass with a solid white or black film. Learn more about Fasara at fasara.com.